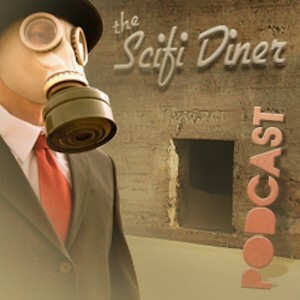 SciFi Diner Podcast Ep. 161 – 20 Years of Farpoint; World of Warcraft Crafts Better Employees; The Most Influential Science Fiction Movies; and More. Science Fiction Movies; and More. Interview: Steve Wilson, C0-Founder of the Farpoint Con, Writer and Podcaster. Trivia: New Trivia this week! Special Interest: WOW can be good for you? TWIST: JJ gives dieing fan a wish. Cumberbatch frustrated he can’t reveal his character’s name. Trivia Question: What do Walter Bishop & Brainiac have in common? You will have until February 5th to send us your answers. Please include the code word mentioned in the first 15 minutes of the show. Send your answer with your mailing address to scifidinerpodcast@gmail.com, call us at 18885084343, or DM us on Twitter at @scifidiner. Make sure you include your e-mail with all entries! Only one entry per person. The SciFi Diner is not responsible for any injuries occurring if you secretly decide to go all shiny and dress in a browncoat and walk into your local bar. Steven H. Wilson has interviewed Jonathan Frakes for Starlog magazine, written for DC Comics Star Trek classic and Warlord series, and, most recently, served as principal writer and director for Prometheus Radio Theatre and publisher of Firebringer Press. 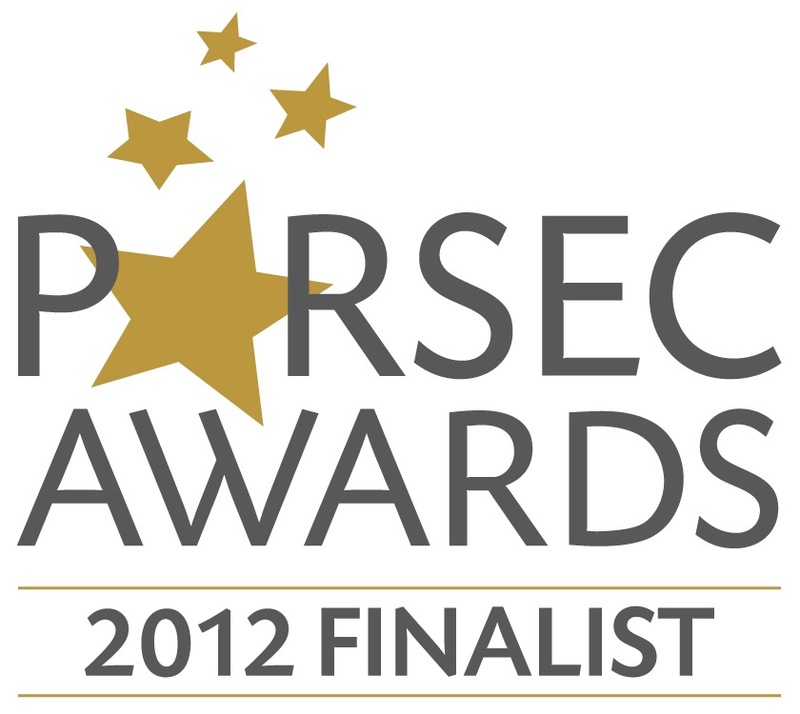 His original science fiction series, The Arbiter Chronicles, currently boasting seventeen full-cast audio dramas and the novels Taken Liberty and Unfriendly Persuasion, has won the Mark Time Silver Award and the Parsec Award for Best Audio Drama (long form). 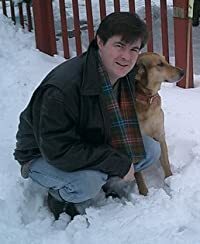 Active in science fiction fandom since 1984, he has written, drawn, edited and published fanzines, acted and directed with a comedy troupe, and served as a gopher, a con chair or a guest at roughly a hundred conventions. Wilson, who serves as IT manager for Howard County (Maryland) Fire & Rescue, holds degrees from the University of Maryland College of Journalism and the Johns Hopkins University Whiting School of Engineering. FARPOINT is an annual gathering for fans of all genres of imaginative fiction – Science Fiction, Fantasy, Horror, SuperHeroes – in all the media formats in which they might appear – Cinematic Movies, Television, Direct to DVD , Books on Tape, Podcasts, Web Video – you name it, we want to celebrate it! The con was established in 1993, by a committee led by Bev Volker and Steve Wilson. 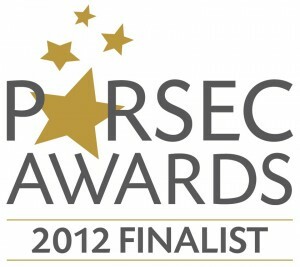 Our focus is on Fandom, and all the wonderful, creative people who comprise it. Our mission is to encourage, to educate, to enable. So, while we certainly bring in some exciting professionals from the industries which bring imagination into the mainstream, our real goal is to give you the opportunity to meet others like yourself, to forge friendships, and to develop your own creative gifts. Patience may be a virtue, but it doesn’t make it any easier to wait for the back half ofRevolution’s first season. Luckily, we have an action-packed new trailer to tide us over. What do we learn? It looks like we won’t have to wait much longer for the series to start paying off its lofty title. Yes, we still have to wait until March 25 for the final 10 episodes. But we’ll get them all together with no repeats, and co-creator Eric Kripke promises it will be worth the layoff. If the trailer didn’t give it away, Kripke confirmed that the next 10 episodes will pick up immediately after the intense mid-season cliffhanger. Monroe’s militia has helicopters, and it will have a massive impact on the series moving forward. World of Warcraft players make better employees than Harvard MBAs? Sick of battling the relentless stereotype that World of Warcraft players are all overweight, lazy, antisocial shut-ins? Here’s some new ammunition for you: a prominent researcher of organizational studies and digital culture has just declared WoW gamers to be ideal employees. Why? Because they care. John Seely Brown is a respected expert in organizational systems, innovation, organizational learning and computing. His pedigree includes positions as independent co-chair of the Deloitte Center for Edge Innovation and senior fellow at the Annenberg Center for Communication at USC. This guy knows his stuff, and in a new video for Big Think, he declares avid World of Warcraft gamers to be among the most desirable employees on the planet. Brown cites various game mechanics within WoW as examples of why, to advance far in the game, players have to truly be passionate and engaged in what they’re doing. For example, playing within a guild does not offer a traditional bonus-based structure, and therefore players must advance by learning and researching objects and traits on their own. To go far, you have to apply yourself, and because different people have different interests and goals, the game then self-organizes. It’s here, Brown claims, that a powerful organizational structure takes root that could also be applied to business. According to Brown, building a similar structure based on “interest-driven” ideas, and allowing employees to build their own “dashboards” with which they measure and design their own progress, could be the future of the corporate world. And if he’s right, high-level WoW players already have an edge. To see the full video, check out Big Think on YouTube. What do you think? Has gaming helped you become a better employee? Just came across this trailer (actually two short clips) from an upcoming movie called “Upstream Color”. Not sure what to make of this. Classed as “thriller, romance, scifi”. The synopsis: “A man and woman are drawn together, entangled in the life cycle of an ageless organism.” Supposed to come out in April. Comic books have ruled the big screen the past few years, but it looks like videogames are wanting to make a strong push back in 2013 and beyond. The latest? Future-set action series Tom Clancy’s Ghost Recon, which is based on a military special-ops team. Ubisoft Motion Pictures chief executive Jean-Julien Baronnet confirmed to the L.A. Timesthat film development is underway and they could start shopping a pitch to studios this year. The future war franchise has been kicking around for more than a decade and has evolved from an original Playstation 2 edition to the latest 2024-set sequel on Xbox 360 and Playstation 3. The franchise has spawned about a dozen sequels, but there’s been no word on exactly what storyline the film will follow. Missions typically center around a special-ops team as they go on super-secret missions steeped in danger and political intrigue. Not a bad setup for a film. Ghost Recon joins fellow Ubisoft properties Splinter Cell and Assassin’s Creed as currently being in development for the big screen. The company has smartly opted to attract big stars for the proposed features, with Michael Fassbender attached to Assassin’s Creed and Tom Hardy in talks to star inSplinter Cell. No word on who they’ll try to tap for Ghost Recon, but it’s likely they’ll go after a star to anchor it. To get a feel for how the franchise might translate to live action, the studio created a pretty great short film prequel, Ghost Recon: Alpha, for the latest edition of the game. You can watch it here. Rumor of the day: Is this the big-screen Justice League roster? We still have no solid information on Warner Bros.’ proposed Justice League flick, but a new rumor breaks down which famed DC heroes are expected to make the cut. So how is the roster shaping up? The news comes via an anonymous tipster over at Cosmic Book News, so take this all with a heaping grain of salt. But it’s always fun to speculate. Judging by this report, DC hopes to include most of the heavy hitters—carrying over Man of Steel’s Henry Cavill as Superman and Ryan Reynolds’ version of the Green Lantern. Newcomers would include Wonder Woman (who would be introduced in a standalone movie currently in development), The Flash, Martian Manhunter, Aquaman and Batman (likely a rebooted version). Superman: Essentially the same character from Man of Steel, and Zack Snyder is consulting regarding the writing of the character. Batman: The strategist of the group. Batman doesn’t really want to be involved with these super powered beings he considers too powerful. Easily the most complex written. Wonder Woman: She has only been in man’s world a few short months. The Wonder Woman script Michael Goldenberg is developing will be set before the Justice League movie. Green Lantern: Will be Ryan Reynold’s character from the Green Lantern movie, but will be freshly written with a more serious tone. Flash: The most popular hero in civilian eyes who loves media attention, but when called upon is very serious. Martian Manhunter: Alien who has lived on Earth in secret for over a hundred years who has knowledge of Darkseid and his reign. Aquaman: Will be the King of Atlantis who has a key role in the film. The character Darkseid will reportedly be a baddie in the film, and it will include a heavy military presence (a la S.H.I.E.L.D. in Marvel’s The Avengers) to help ground it in reality. So do we actually buy this? Not really. That big-screen version of Green Lantern was a mess and did so poorly that Warner Bros. quickly pulled the plug on a proposed sequel. If anything, the studio will likely want to distance Justice League from it—not set it up as part of the canon. Plus, if they want to establish Wonder Woman with a standalone move before Justice League in 2015, it’d need to be on a much faster fast track than it seems to be now. Is all of this possible? Sure. But unlikely. What approach do you think DC will take with the big-screen Justice League? Sometimes we can do really heartwarming things with this Internet gizmo. A few days ago, word spread via social media of a dying man who wanted nothing more than to see Star Trek Into Darkness before he went. Today, we got word that he got his wish, courtesy of J.J. Abrams. This tear-jerking little saga began on Christmas Day, when a Reddit user known as “ideeeyut” posted a plea on behalf of his friend Dan. According to the post, Dan is 41 and suffering from two kinds of cancer. At this point, it’s only a matter of time for him, and he wanted nothing more than to see Star Trek Into Darkness before he died. Knowing that he has, according to the post, “weeks to live,” he bought a ticket to see The Hobbit: An Unexpected Journey in an effort to at least catch the 10 minutes of Trek footage before it, but was hospitalized on the day of the screening and had to give up his seat. We’ve still got a few months before we see the flick for ourselves, but even if we all end up hating it we can relish the warm feeling we got from hearing this news. With director J.J. Abrams’ penchant for secrecy, the mystique around Benedict Cumberbatch’s mysterious Star Trek Into Darkness baddie has dominated the headlines—probably garnering more attention than the movie itself. So what does Cumberbatch think of all the wild speculation? Not surprisingly, he’s getting kind of tired of it. Cumberbatch’s character is a Starfleet officer-turned-terrorist named John Harrison, though it hasn’t killed speculation that he’s secretly a version of famed Original Series-era baddie Khan. What do you think of all the speculation over Cumberbatch’s character? Does it help build buzz, or is finally starting to get old? Here it is. The five most important movies. I was going to include theme music underneath the spoken word, but the problem is, two were silent and a third was mostly electronic chirps and tones. You know it’s “Revolution” right? No “s” on the end. LOL yeah I got typing happy. Ghost Recon I clicked on the link and I got page not found do you guys have another link for it? I must disagree with Raul Sci Fi 5 in 5 and that being that Star wars was not a True sci-fi movie even though he had it on his list. Some were Raul missed the boat on that one I do agree with the list of the most important movies I just disagree that it was not sci-fi. And it was not good sci-fi again this movie change everything to even what we are seeing today. I guess his defection of sci-fi is different from mine. Great interview with Steve Wilson and a great show overall. I am looking forward to seeing you at Farpoint again next month.